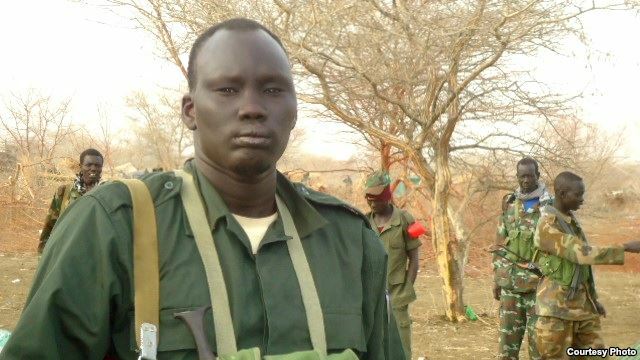 David Yau-Yau, the Murle militia leader who led a military rebellion against the gov’t of South Sudan leading to the creation of the Greater Pibor Administrative of which he (Yau-Yau) has been appointed the administrator by President Kiir. October 1, 2015 (SSB) — Jonglei State is inhabited by four Greater: Akobo, Bor, Fangak and Pibor. But only greater Akobo, Bor and Pibor languish in the triangle of excessively organized criminal activities; where tribally oriented perpetuators exchange recidivistic commission of crime including massive killings with impunity; keep dragging on rampant proliferation of small of arms; executing illegal acquisition of wealth through cattle raiding and child abduction and escalating uncontrollable crisis fueled by the series of political defections, which triggered massive displacements of residents to neighboring states or countries and hiking crimes against humanity to the international attention. Also before David Yau Yau’s 2014 successful presidential appointment as a chief administrator for Greater Pibor, which has rhymed with his audacious topple of Sultan Ismail Konyi’s ancestral doctrine inculcated in his tribesmen of sharing with them a wealth they raided from neighboring tribes, which amplifies cattle crime in Jonglei State; most people relentlessly deprives of cattle, children, lives and more others compelled to live in a perpetual fear and to squeeze themselves into poverty dominated, congested inner cities with nowhere to independently farm. Consequently, this rally a plausible barrage of criticism from citizens and international community that South Sudan government is none other than incapable of improving security as well as its economic viability to its general public; this evidently proved right from Jonglei State and gets reinforcement from Lake State security condition. Put aside Lake State retaliatory entangled issues, but in my modicum point of view, to both settle economic crisis and fear of insecurity, regardless of not yet publicized demand of those geographical localities remained of Greater Bor, Akobo and Fangak to potentially follow sisterly Greater Pibor for autonomous administrative areas or new states to be established—still national government is tasked to develop agricultural scheme and fence it in a vast rectangular area to cover the desert beginning from a border of Lafon, Eastern Equatoria, East of Jameiza, Central Equatoria and specifically through Triangle of Greater Bor, Pibor and Akobo purposely to reduce poverty and insecurity with reserved security gate, pathway and interstate highway guarded by organized forces, and paradoxically to secure crops from herd of wild and domestic herbivores as well as to close the passage of the criminal activities and to assist police in easily tracing cattle theft and child abduction. And then load it with workforce of staffs from the country’s agricultural institutions, production units of the SPLA, wounded heroes or heroine, prisons and wildlife units plus mobilizing soldiers affected by aging, massive men and women in arm forces that in a government payrolls, and not able anymore to implement army active responsibilities of protecting wanted to be secure civil populations; by making use of them to work in plantations and to equip them with all available farming equipments: tractors, mechanized irrigation system, electronic water pumps and water reservoirs. In retrospect, early 1990s, Gen. Malong Awan tried Cassava plantations at Boma and Pakook, in Pibor with no modern farming equipments available and it worked; thus, presence of this workforce of armed organized forces, trained staffs from several agricultural institutions and heavy agricultural equipments can soar economic growth for the welfare of the country as well as to narrow down a repetitious exchange of criminal activities in the area. This can work; the west-bank blockade controlling the passage of terrorists from Palestine to Israel works; USA-Mexico border barriers to keep out drug dealers from Mexico not to enter USA works; and Recently Hungary’s razor fence to keep migrants not to enter illegally to Hungary from Yemen, Syria, also works.